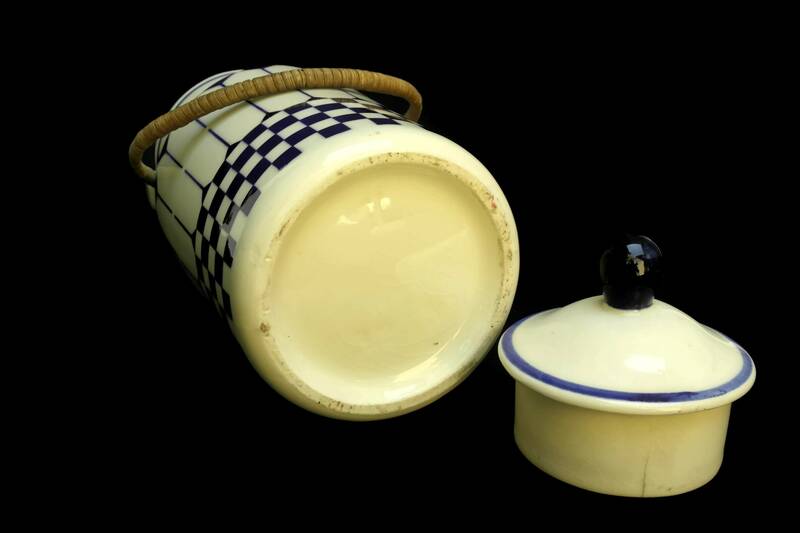 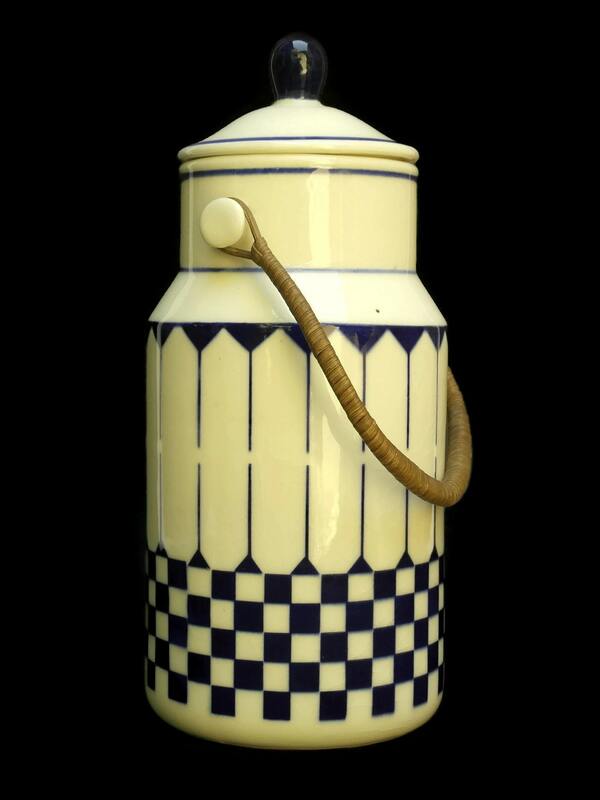 A charming ceramic milk pail can dating to the 1970s. 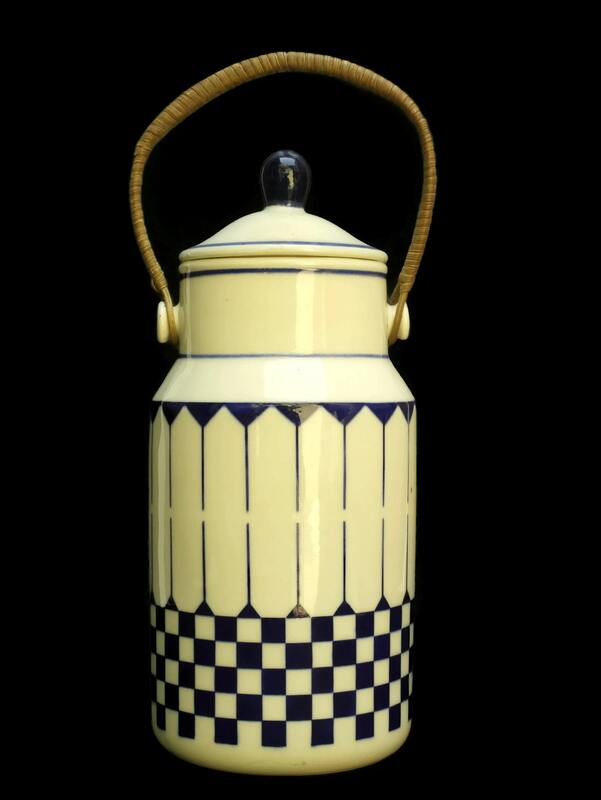 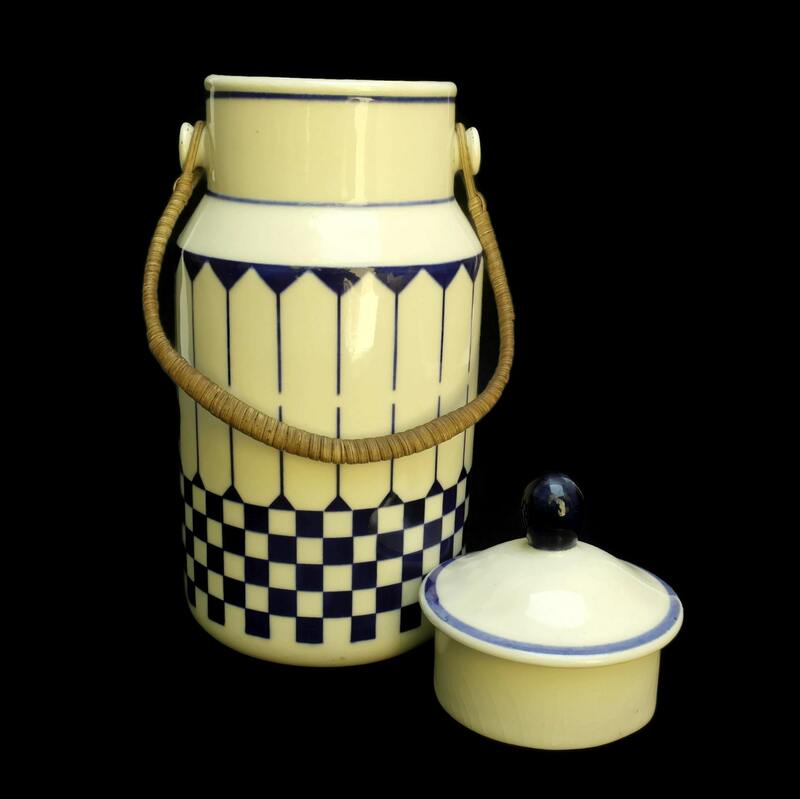 It has been created form French pottery and decoaretd with a striking white and blue geometric pattern. 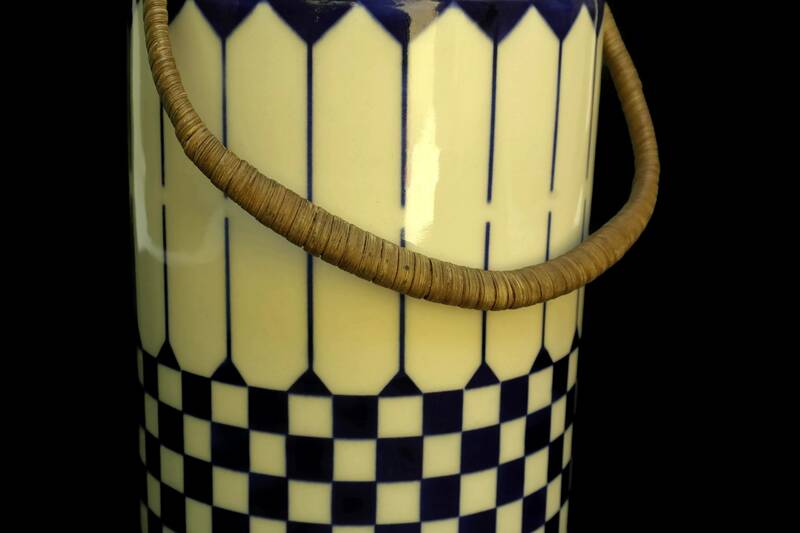 The lidded canister has a hand-woven wicker handle. 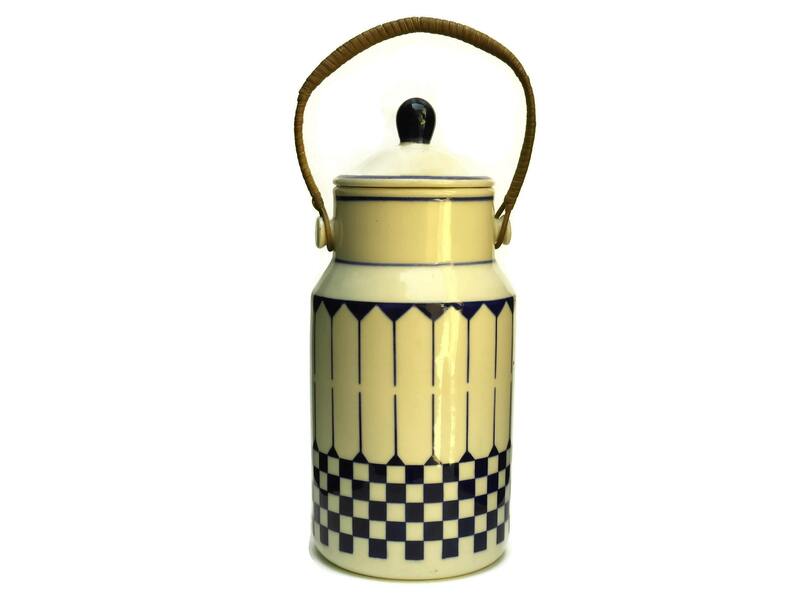 The underside of the rustic canister has been stamped with the manufacturer's reference number and holding capacity of 1 liter. 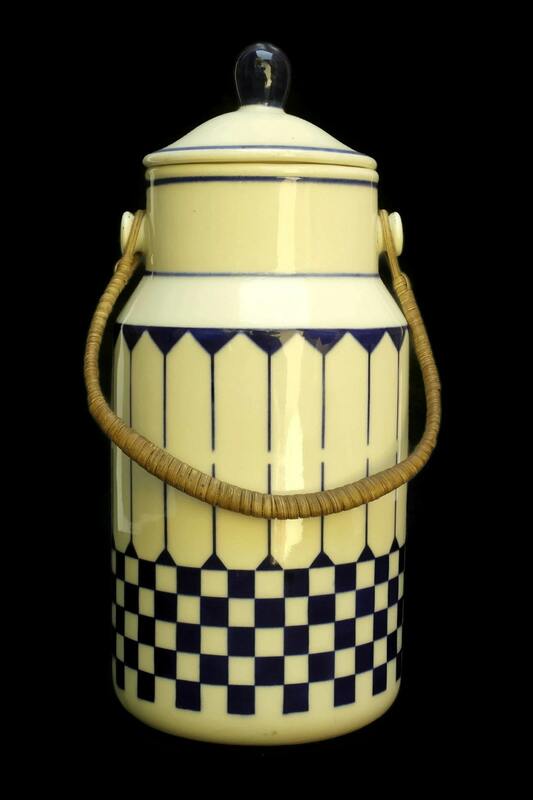 9.5" Tall x 4" in Diameter. 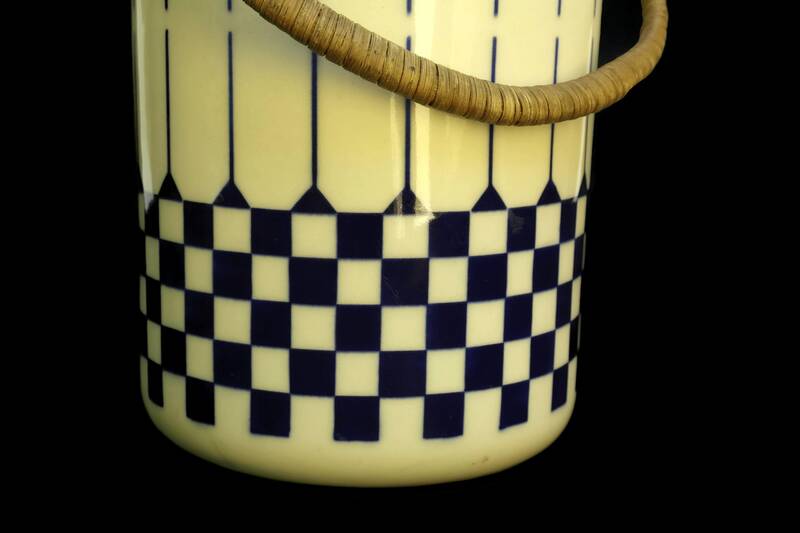 (24 cm x 10 cm). 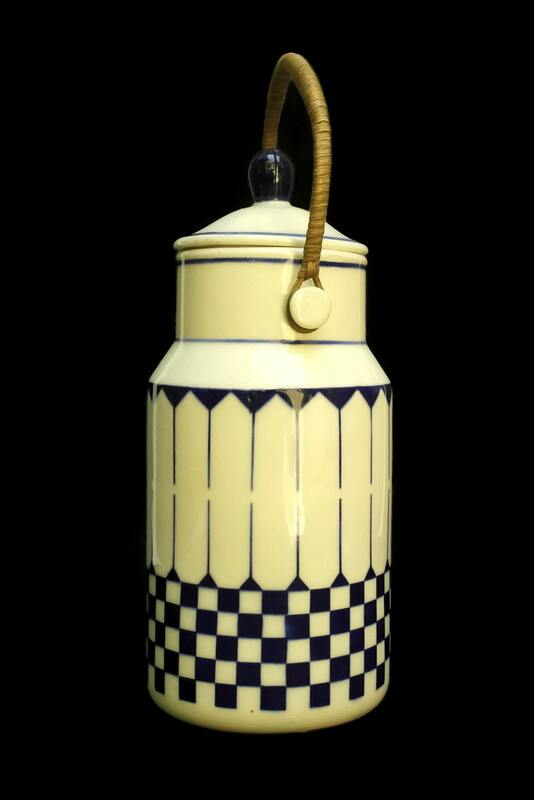 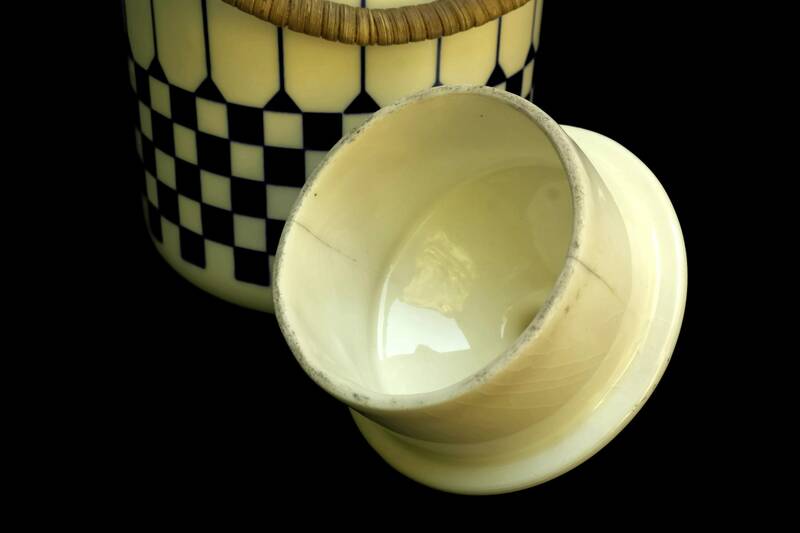 The vintage milk can is in very condition with light crazing to the glaze.